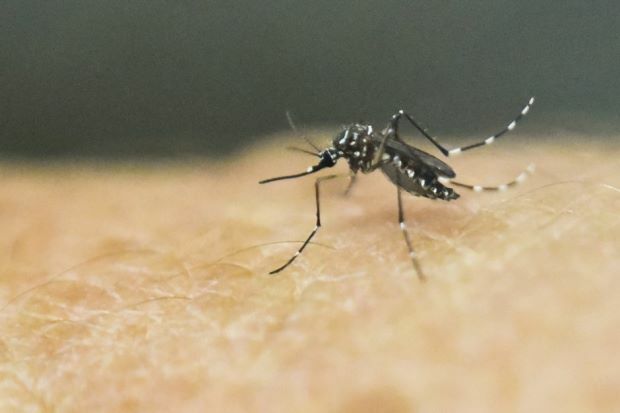 KUALA LUMPUR: Malaysia will take the lead in bringing dengue fever concerns to the world's attention at the coming World Health Assembly, said Datuk Seri Dr S. Subramaniam. The Health Minister said that Malaysia would host a side event on dengue at the meeting in Geneva, Switzerland, at the end of May. "Dengue has never been given the ‘centre stage’. "Through our initiative, we have taken dengue to the centre stage of the World Health Assembly itself and for the first time, we will be hosting a side event there," he said in his speech at the Asia Dengue Conference on Saturday. Dr Subramaniam said that various experts would be invited to share information on dengue during the event. He said that dengue had spread to many parts of the world and yet it had not received much attention in international meetings. It is a serious issue in Malaysia and affected those in the productive age, he said. As many as 42,271 dengue cases were reported from January to April 22, a 10.8% increase compared with 38,139 cases for the same period last year. However, there were 94 deaths for the same period this year compared with 119 during the same period last year, a decrease of 21%. He said that in the last two years, the pattern of dengue cases had changed and had affected more of the heart, brain and kidneys. Meanwhile, deputy health director-general Datuk Dr Lokman Hakim Sulaiman said that 60,682 premises had been inspected since the nationwide enforcement operations on dengue began on April 11. Out of the number, 351 were fined, with the total fine collected amounted to RM175,500. Dr Lokman said that 105 construction sites were also inspected and four of the sites were ordered to close until they were cleaned up while another seven cases were brought to court. "We have found less premises with mosquito breeding sites. Perhaps people have started to check their homes after hearing of the enforcement operations," he said. He advised the public to check on the ant trap in the floor, water containers that are used for washing dishes, roof gutters, air-condition compressor and homes that people themselves had left empty.